There will be a major storm late next week ahead of the coldest air of the season. As of now, all the MAJOR weather models are showing the storm to ride up the east coast. This just does not make sense, with the NAO neutral the weather pattern would not favor this scenario. 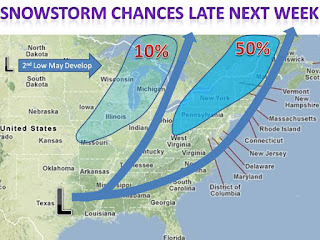 It is possible that the storm will cut up the Ohio Valley or Great Lakes. Furthermore, some models are showing a low pressure systems winding up in the northern great plains, this "could" also pull the southern storm more north. Either way after the storm passes cold air will filter into most of the country. There is a lot going on with this complex storm, so basically anything can happen. Will definitely know more by late this weekend! 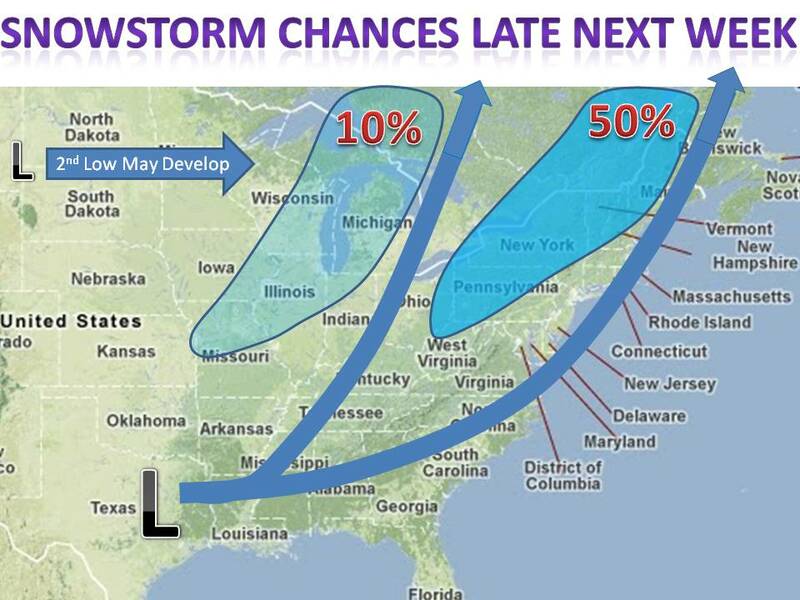 Keep it here to midwest weather talk.